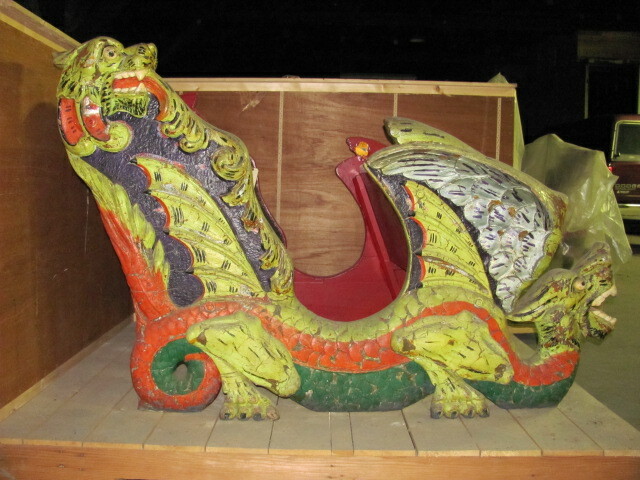 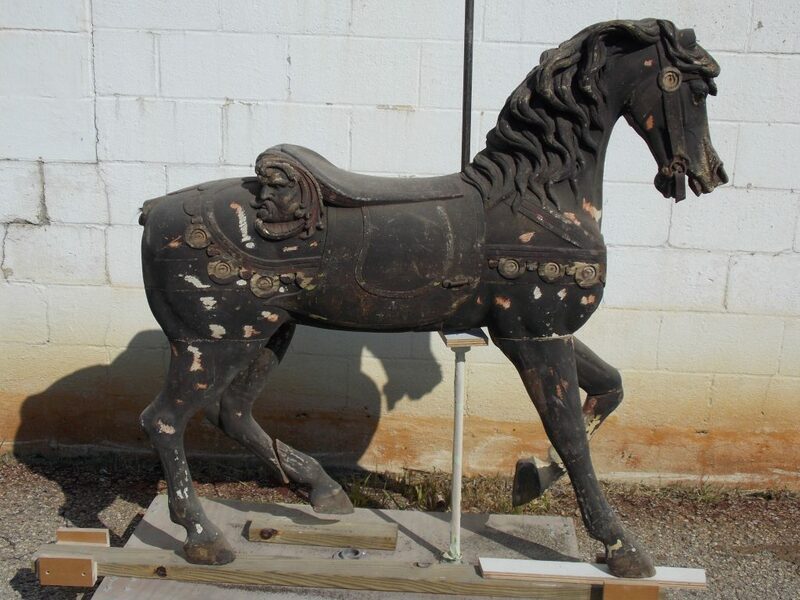 At Carousels and Carvings we restore old carousels to look and function like new machines. 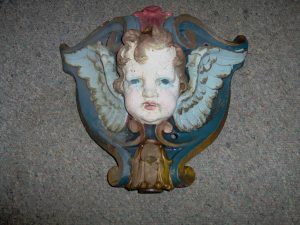 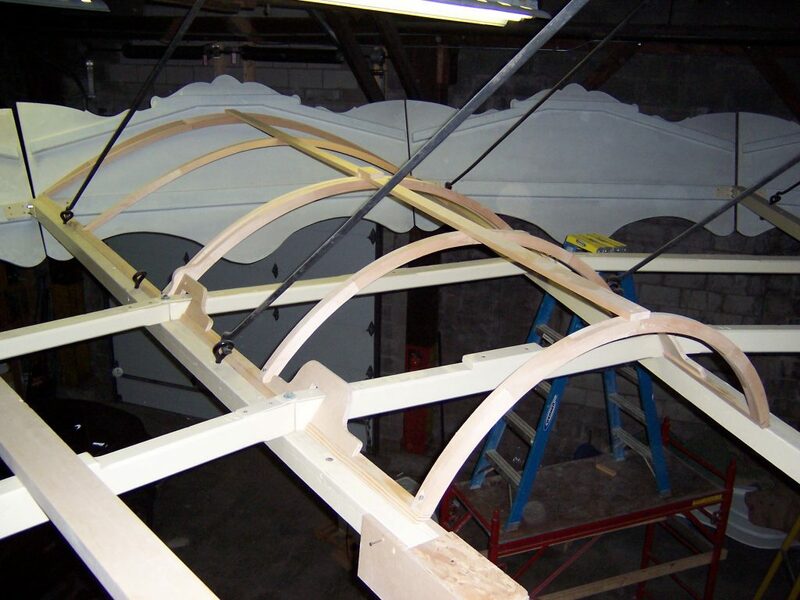 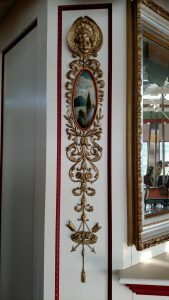 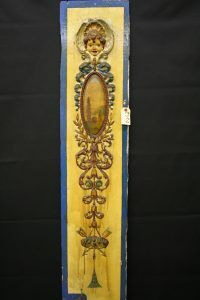 Our theory of restoration is to save the integrity of the complete carousel, from the figures and facades to the frame. 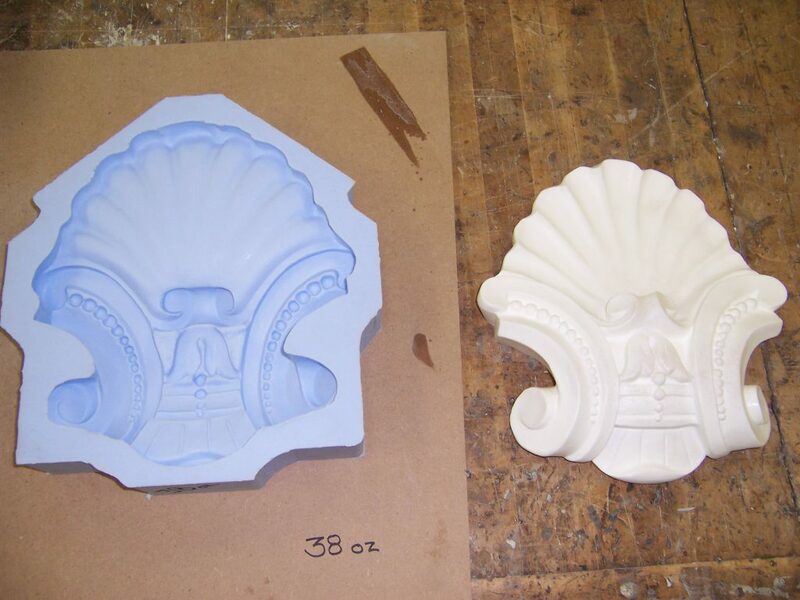 We specialize in reproducing broken and worn down parts so that they look and function just as the originals did. 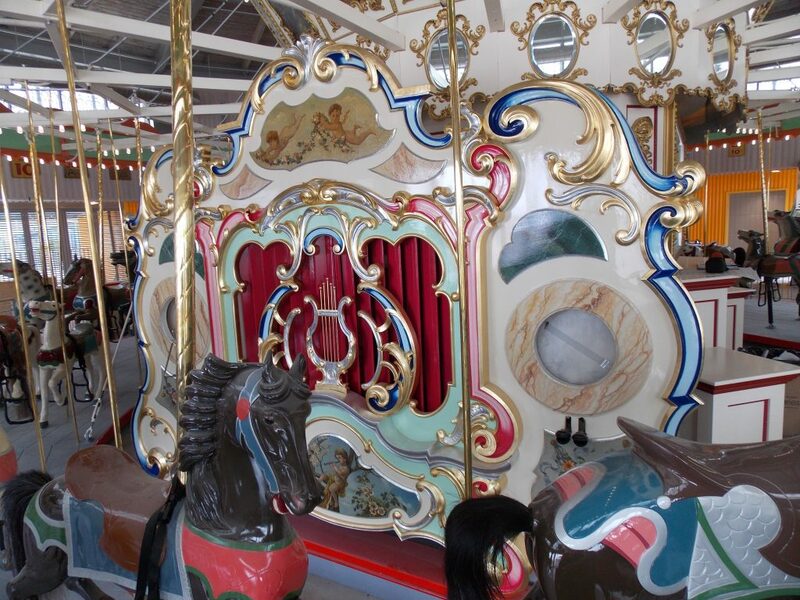 When we restore a carousel our goal is to continue its long life so that many generations to come may enjoy the ride, just as many generations before have. 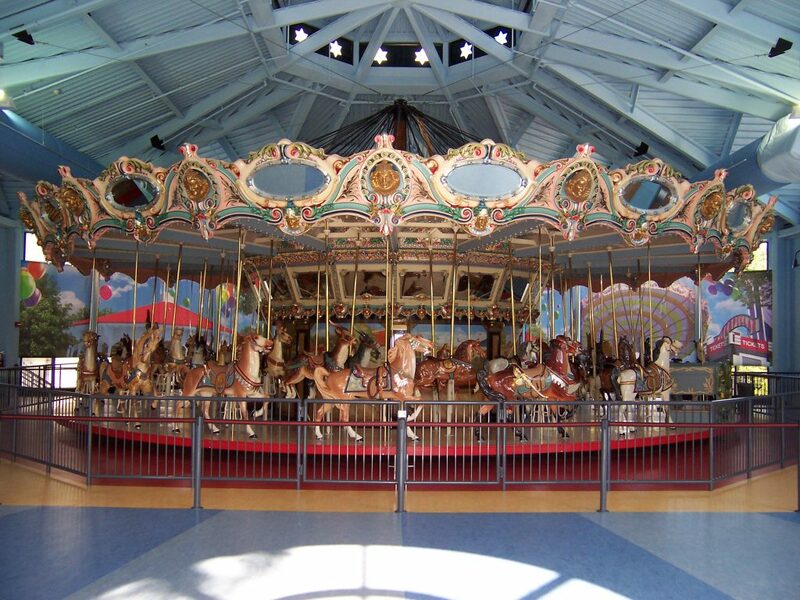 To determine the choices made during the restoration of a carousel we work closely with our clients to ensure we meet their needs as well as the state’s ride regulations. 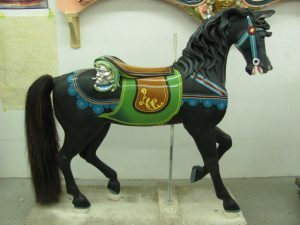 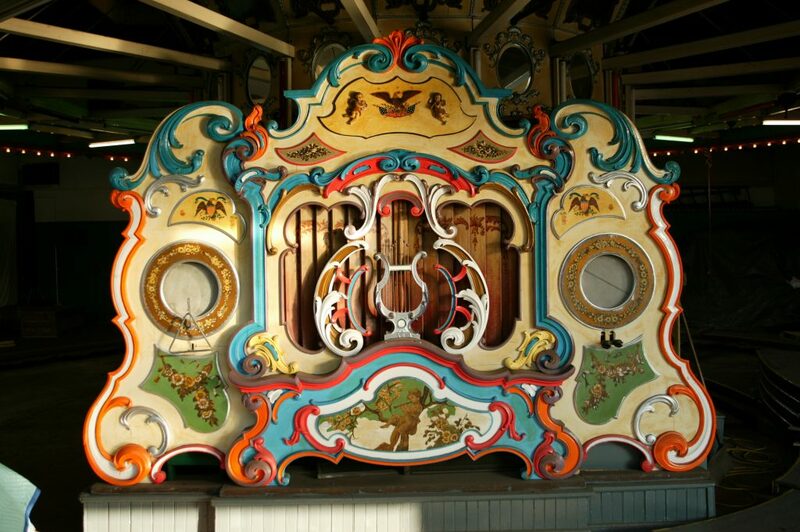 With each restoration the condition of the carousel is taken into carful consideration to determine the alterations and updates that will be given to the ride. New Carousels and Carvings’ frames have metal sweeps, but we can replace old worn out wood sweeps with new wood to keep the machines authenticity. 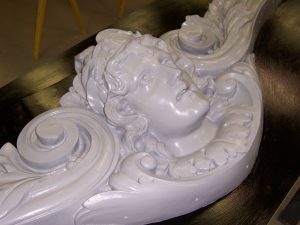 Our uniqueness comes from our vision of the restoration process. 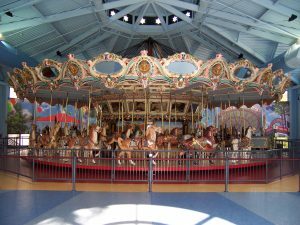 Our team works to keep the carousel looking as original as possible while still ensuring they run according to modern standards. 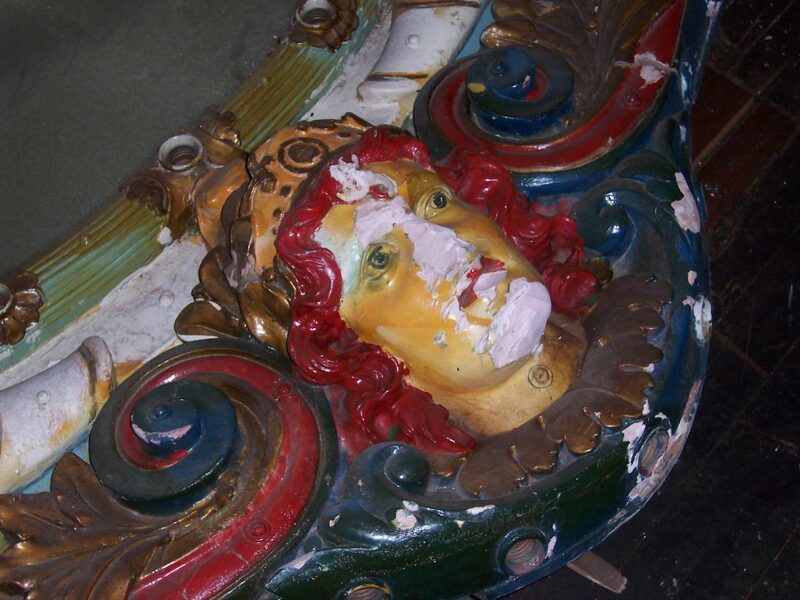 We do not over restore the figures and facades. 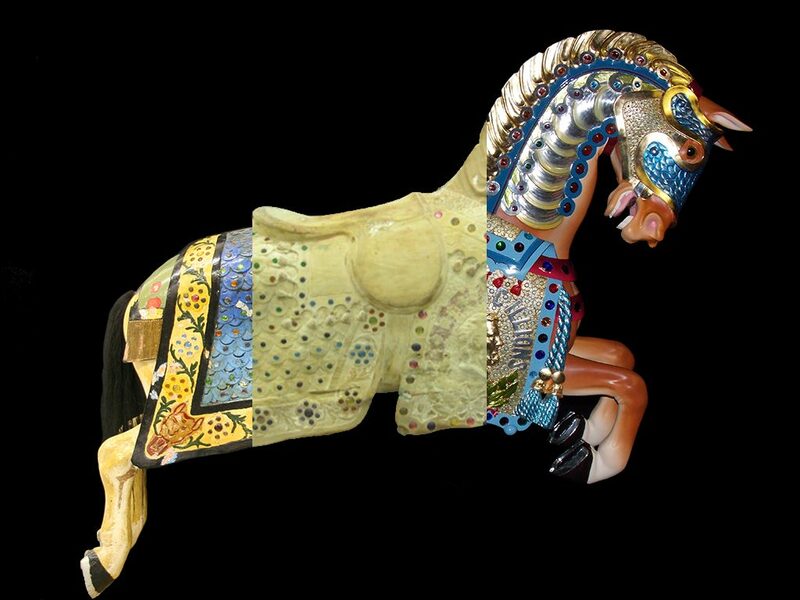 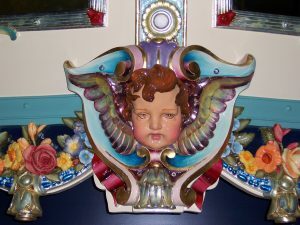 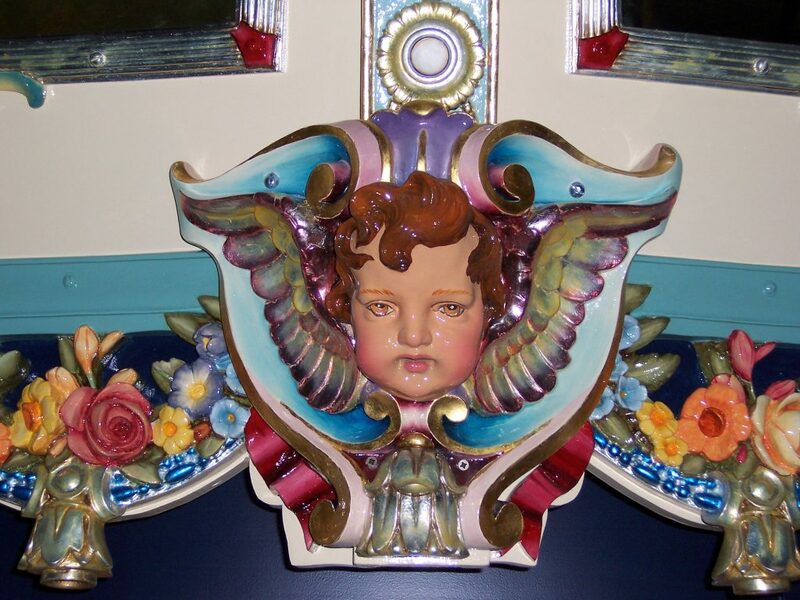 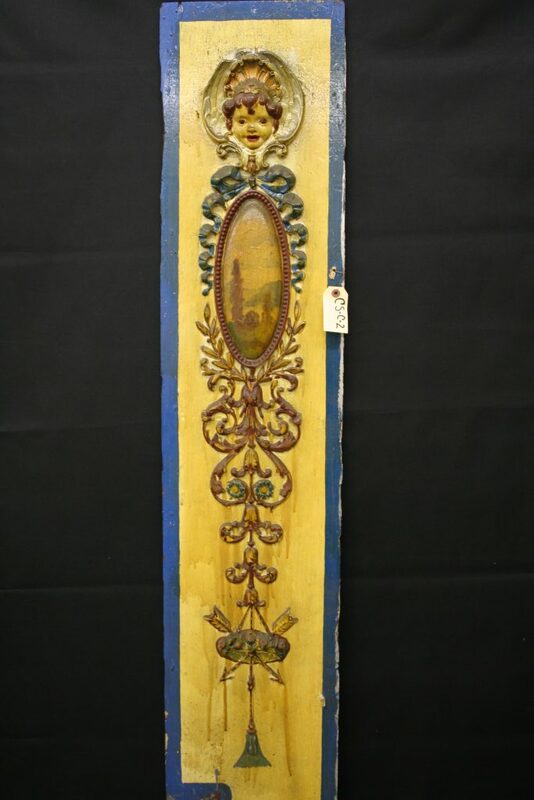 Over time a carousel can be re-carved and re-blended altering the surfaces of the animals and facades. 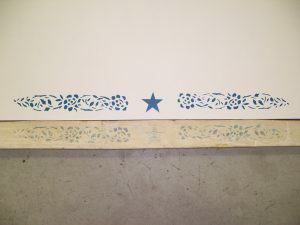 Our goal is to maintain as much of the original surface as possible. 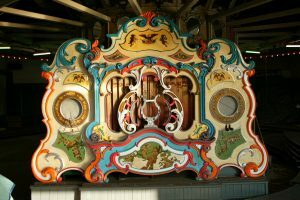 Over restoration harms the carousel and its unique history. 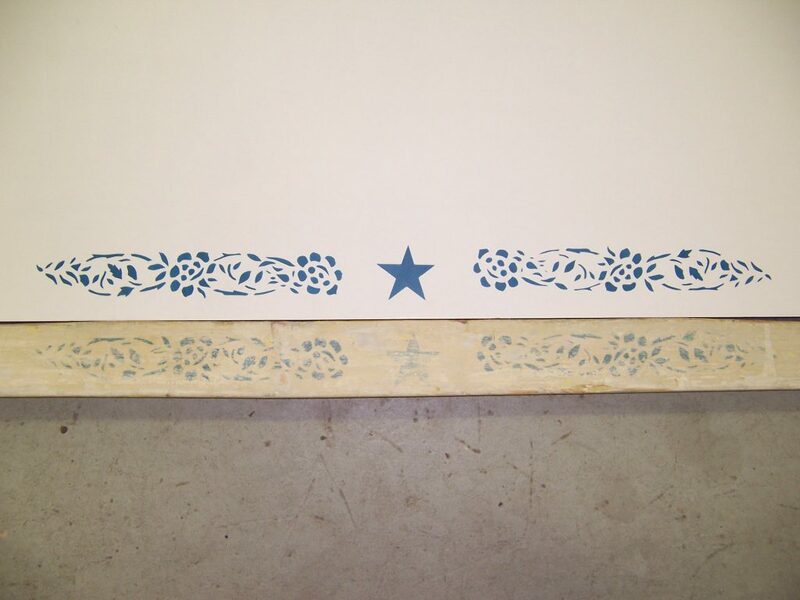 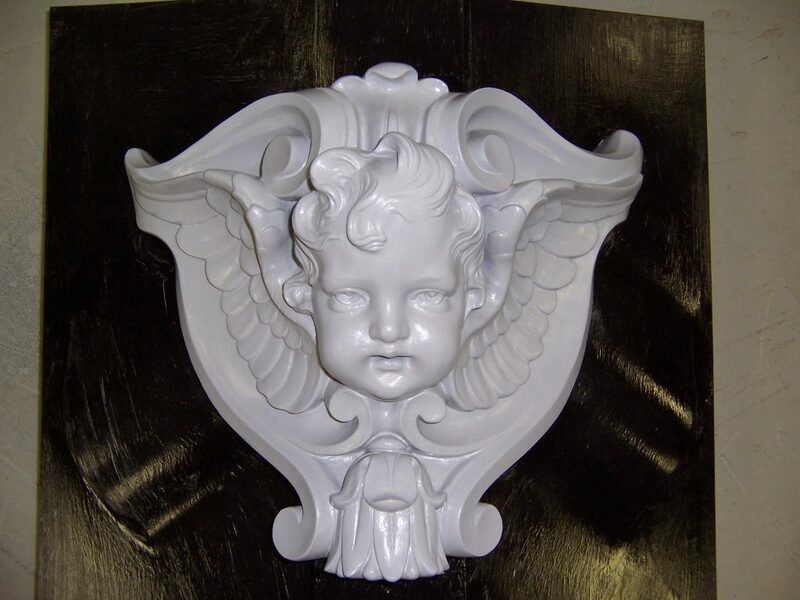 The more of the original materials that are maintained, the more history that is preserved. 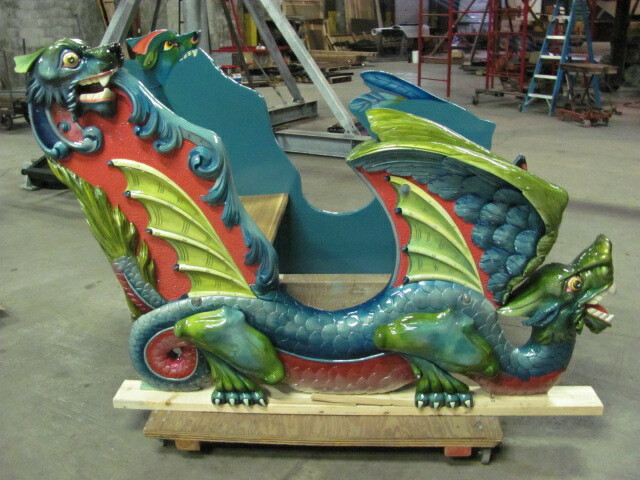 During restoration we inspect the carousel part by part from top to bottom, and determine whether to repair or replace each piece. 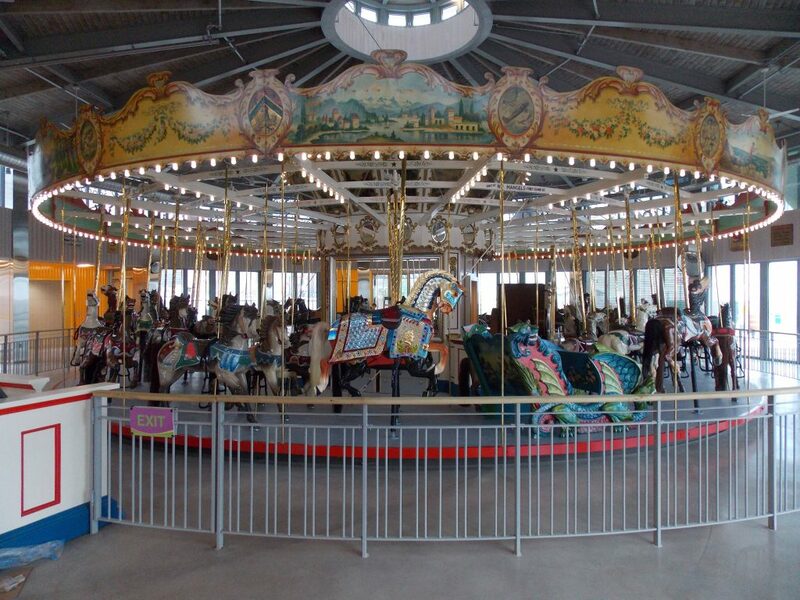 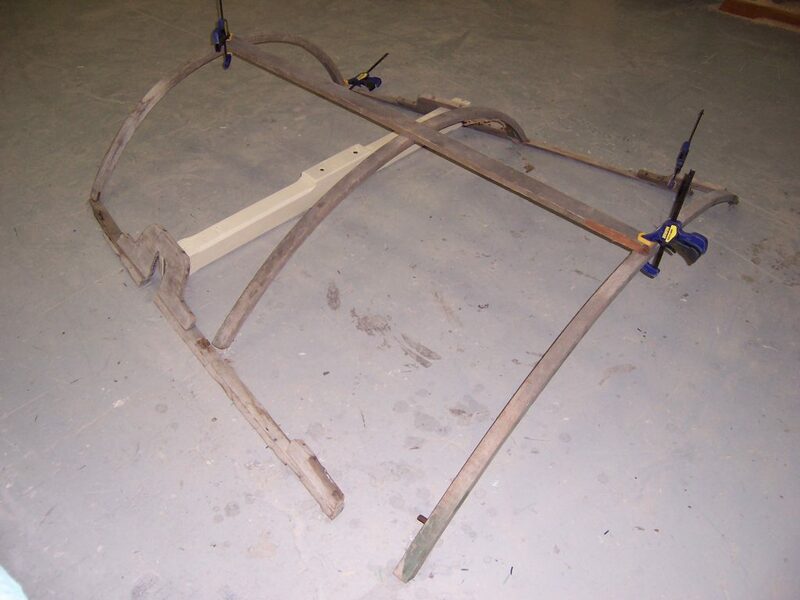 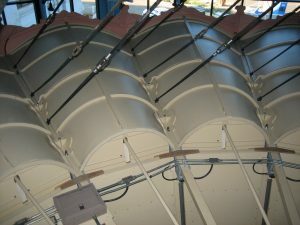 This allows us to ensure the safety and integrity of the carousel. 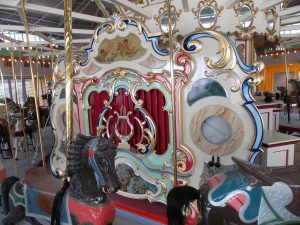 Many of the carousels we restore have run for nearly 100 years, and we strive to add another 100 or more to their legacy.